Composite fillings provide a natural look! 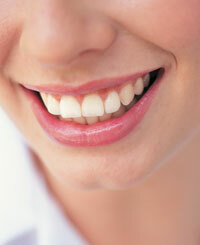 Teeth that have been damaged by cavities require fillings for restoration and repair. Once the damaged section of the tooth has been removed, the filling protects it from bacteria. The tooth can then function normally again. Metal fillings are a thing of the past. Whether you seek to replace older fillings or need to fill a tooth due to a cavity or decay, Dr. Wilkey is ready to assist you and use his years of experience to your benefit. The composite fillings offered at Choice One Dental Care of Columbus are strong and the same color as your regular teeth, giving you a dazzling smile that you’ll feel confident showing off. It’s important to repair cavities early to prevent additional decay. Regular preventative visits are key in uncovering cavities while they are small. Find out more by contacting our friendly, knowledgeable team today. Free parking is available, and insurance is accepted.